Book 3 in the Chronicles of Narnia series by C.S. Lewis. The horse, Bree, and his boy, Shasta are fleeing their slavery, heading north to Narnia and freedom. Along the way, they join the horse, Hwin, and her rider, Aravis, fleeing an arranged marriage. Together they ride north across the desert. Meanwhile, the vengeful Calormen prince Rabadash determines to destroy Archenland and invade Narnia to capture Queen Susan and make her his bride. 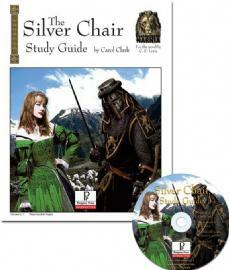 Shasta and Aravis discover his plan and must warn Archenland in time, or all is lost. Their journey to "Narnia and the North" will involve difficult and dangerous situations, through which they come to realize that they are being guided by none other than Aslan himself! The surprise that awaits Shasta at the end of his journey is more than he ever dreamed of. In today’s world, it’s easy to become overwhelmed and even paralyzed by the constant flow of parenting advice. We’re flooded with so much practical information that we wonder if we’re choosing the right way. 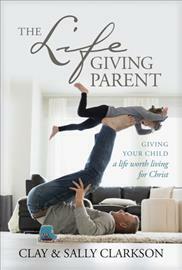 And we may be missing the one thing God really wants us to give to our children: His life. God doesn’t include a divine methodology for parenting in the Bible, but He does provide principles that can enable any faithful parent to bring His life into the life of their home.In The Lifegiving Parent, respected authors and parents Clay and Sally Clarkson explore eight key principles―heartbeats of lifegiving parenting―to shed light on what it means to create a home where your children will experience the living God in your family. Now parents of four grown children―each with their own unique personality and gifts―Sally and Clay have learned (sometimes the hard way!) that the key to shaping a heart begins at home as you foster a deep and thoughtful God-infused relationship with each child. Filled with biblical insight and classic Clarkson stories, The Lifegiving Parent will equip you with the tools and wisdom you need to give your children much more than just a good Christian life. You’ll give them the life of Christ. Nurturing Faith through feasting, one meal at a timeDays before converging on our home for a family gathering this summer, both of our sons called me.“Mama, I can hardly wait to get there.”“What is your favorite expectation about coming home?” I asked each of them.Both boys answered with almost the same words, even though they were now separated by two thousand miles: “It is the feasting every night around the table with delicious home-cooked food, being each other’s best friends, talking about every possible subject and sharing in each other’s lives . . . that is my favorite part. I need my people. I want a place to belong.”It’s no accident that they feel this way. 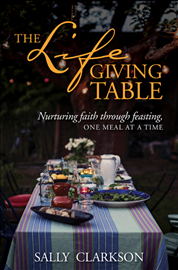 Creating a lifegiving table in our home was a priority for me from the very beginning, and I put effort and intention into making it happen.In The Lifegiving Table, join me as I share the lessons my family and I cultivated carefully through years of sitting down together; cooking, baking, and preparing meals; and practicing the disciplines of teaching manners and fostering conversation.You’ll discover the legacy of creating a lifegiving table in your own home, as you knit your hearts together to form tight bonds that will not easily be broken. Girls ages 8-12 will be eager to read these devotionals created especially for them from the same publishers who created the One Year Book of Devotions for Kids. Each devotion features a contemporary story that will get the special young lady in your family into God's Word, using subjects that girls are really into. Each lesson will invite a personal life response with a section titled, "How About You?" and a "key" at the end of each day's devotion will summarize how the lesson can be applied to her life. 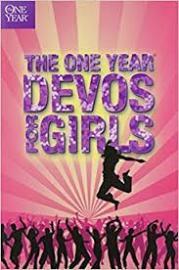 The One Year Book of Devotions for Girls will give girls what they need for establishing quality, daily time with God. Daily devotional time is important for children as well as for adults. 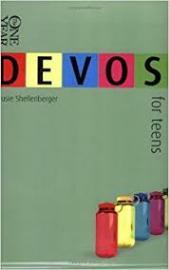 And The One Year Book of Devotions for Kids can be a valuable tool in developing your child's own personal devotions. In addition to the 365 readings, The One Year Book of Devotions for Kids includes a topical index so kids can look up stories and apply them to specific situations in their life. With devotions for kids to read alone or together as a family, this devotional will give kids what they need in order to spend quality, daily time with God. Each of the entries in this One Year devotional will help you apply biblical truth to everyday situations, guide you to better hear God's voice through Scripture and prayer, and encourage you in the struggles you're facing. Encourage your pre-teen child to build an active faith based on biblical principles with this 365-day guide to Christian living. Filled with short readings, NLT Scriptures, fun facts, creative applications, and prayer suggestions, this devotional is a great way for tweens to learn who God is and why He cares about everything they do everyday! This highly specialized writing intervention series targets middle school students with learning differences who have not been successful in conventional language arts programs. 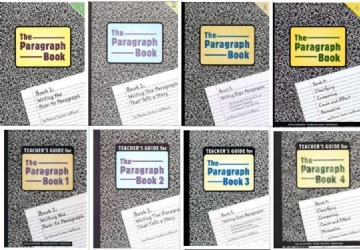 The Paragraph Book series builds competency from the ground up—students learn to edit, format, and build paragraphs while mastering four basic writing strands.The structured format of this series makes it especially useful for students with organizational problems, giving them a framework on which to build. Special attention is also given to looking for missing capitals, dropped endings, missing and double words, and other common and easy-to-miss errors. Connecting deeply with our kids can be difficult in our busy, technology-driven lives. Reading aloud offers us a chance to be fully present with our children. It also increases our kids’ academic success, inspires compassion, and fortifies them with the inner strength they need to face life’s challenges. 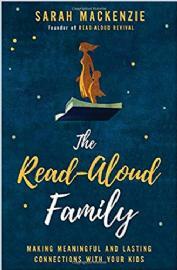 As Sarah Mackenzie has found with her own six children, reading aloud long after kids are able to read to themselves can deepen relationships in a powerful way.Founder of the immensely popular Read-Aloud Revival podcast, Sarah knows first-hand how reading can change a child’s life. In The Read-Aloud Family, she offers the inspiration and age-appropriate book lists you need to start a read-aloud movement in your own home. From a toddler’s wonder to a teenager’s resistance, Sarah details practical strategies to make reading aloud a meaningful family ritual. Reading aloud not only has the power to change a family—it has the power to change the world. People live either UnderBubble or OutBubble - in the protected cities or in the wilderness without electricity, gasoline, or any other modern convenience. Ford Falcon's family lives OutBubble in a slapdash shelter on Skullduggery Ridge near Goldmine Gulley, an old trash heap where they scavenge for lumber and supplies. A partnership of government and corporations have genetically modified URCorn, a miracle food that makes people stronger and healthier. That is, if you can eat it. And the GreyDevils, strange creatures, human mostly, will do anything for URCorn. Anything.Add in solar bears and weird weather that cannot decide if it is summer or winter and you can bet life is not easy. But there is something much more mysterious going on, and Ford Falcon thinks it has something to do with her father. 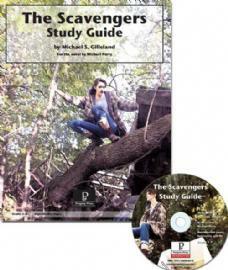 When she returns from a bartering trip to find her home ransacked and her family gone, Ford must find her own way and prove that she can face the world's hardships alone.In 73 pages (including the answer key), our Study Guide contains:-Background on the authors and story-Prereading suggested activities-Vocabulary activities related to the story-General content questions-Literary analysis and terminology questions designed to give students a good understanding of writing technique and how to use it-Critical analysis questions designed to help students consider and analyze the intellectual, moral, and spiritual issues in the story and weigh them with reference to scriptureand, of course, a detailed answer key! Book 6 in the Narnia series by C.S. Lewis.On the run from bullies at their nasty school, Eustace and Jill Pole suddenly find as escape into Narnia, but they become separated. Jill meets Aslan, who tells her they have a task to accomplish and gives her four signs to memorize to help accomplish their task. When Jill is reunited with Eustace, they learn that King Caspian's son Prince Rilian has vanished, and they are to find him and return him to Narnia. With the help of a very gloomy Marsh-wiggle, they set out to find the prince, but they soon find themselves forgetting to repeat the four signs. And when they are captured and led away to a deep underground kingdom, it looks as if they may have failed completely at Aslan's task.In 61 pages (including the answer key), our Study Guide contains:-Background on the authors and story-Prereading suggested activities-Vocabulary activities related to the story-General content questions-Literary analysis and terminology questions designed to give students a good understanding of writing technique and how to use it-Critical analysis questions designed to help students consider and analyze the intellectual, moral, and spiritual issues in the story and weigh them with reference to scriptureand, of course, a detailed answer key!